Multiple Intelligences Theory & Learning Styles – Science or Quack? It’s been 30 years since the theory of multiple intelligences was proposed by Dr. Howard Gardner, professor of education at Harvard University. The “eight intelligences,” which ranged from bodily-kinesthetic intelligence to naturalist intelligence, explained why students could succeed at one type of task and fail at others. Teachers started regarding their students as having different intelligences not based on a general quotient but rather on individual capacities, and adult learners began examining potentials they’d left behind in childhood but now had the opportunity to develop through courses, hobbies, or other programs of self-development. And that’s as far as the theory should have been taken. Unfortunately, much like the learning styles theory and the right-brain-left-brain paradigm, multiple intelligences has skyrocketed into popularity while oversimplifying the nature of the human brain and further pigeonholing students into narrow categories. The term intelligence has always connoted the kind of thinking skills that make one successful in school, perhaps because the first intelligence test was devised to predict likely success in school; if it was important in school, it was on the intelligence test. “Readers made the natural assumption that Gardner’s new intelligences had roughly the same meaning and so drew the conclusion that if humans have a type of intelligence, then schools should teach it,” Willingham says. What’s more, Gardner’s new definition self-consciously broadened the concept to include effective use of the body and thinking skills relevant to the social world. In Frames of Mind Gardner describes intelligence as “a biopsychological potential to process information that can be activated in a cultural setting to solve problems or create products that are of value in a culture.” Previous definitions had been limited to cognition or thought; one was intelligent to the extent that one could solve problems and adapt effectively to one’s environment using thinking skills. The body had no part in the matter. But what we’ve missed, over the years, is that Gardner’s eight “intelligences” were never scientifically proven to be anything more than talents, preferences, and skills. Only bodily-kinesthetic – the ability to manipulate one’s own body with dexterity – may truly represent a separate cognitive ability, probably stemming from cerebellar activity involved in fine motor control, he says. But it may be better represented as a neurophysiological trait than as intelligence. In addition, despite its widespread popularity, the success of multiple intelligences theory as a teaching method is backed by very little hard data. The most comprehensive study into the effectiveness of MI was a three-year examination of 41 schools that claim to use multiple intelligences. It was conducted in the early “˜90s by Mindy Kornhaber, a long-time Gardner collaborator. The results showed that standardized test scores increased in 78 percent of the schools, but Willingham says the scientific integrity of the study is questionable. First, the results failed to indicate whether the increase in each school was statistically significant. If they weren’t, Willingham notes, then we would expect scores to increase in half the schools by chance anyway. Second, there was no control group and thus no basis for comparison with other schools in their districts. Moreover, there is no way of knowing to what extent changes in the school were actually due to the implementation of MI. The energizing thrill of adopting a new school-wide program, new statewide standards, or some other unknown factor could just as easily have improved the quality of teaching. The sheer fact that the theory is an inaccurate description of the mind, says Willingham, means that the more closely an educator draws on the theory, the less likely the educator is to be successful. What About Learning Styles’ Success Stories? The story is similar when it comes to learning styles theory, one of the most popular and widely adopted paradigms of the century. The report was based on an exhaustive study of learning styles literature, aimed at finding empirical evidence for the validity of the theory. The panel concluded that an adequate evaluation of the learning styles hypothesis – the idea that optimal learning demands that students receive instruction tailored to their learning styles – required a particular kind of study. Specifically, students should be grouped into the learning style categories that are being evaluated (e.g. visual learners vs. verbal learners), and then students in each group must be randomly assigned to one of the learning methods (e.g. visual learning or verbal learning), so that some students will be “matched” and others will be “mismatched.” At the end of the experiment, all students must sit for the same test. This way, if the learning style hypothesis is correct, then, for example, visual learners should learn better with the visual method, whereas auditory learners should learn better with auditory method. The panel found that studies utilizing this essential research design were virtually absent from the learning styles literature. In fact, the panel was able to find only a few studies with this research design, and all but one of these studies were negative findings – that is, they found that the same learning method was superior for all kinds of students. But why do so many learning styles studies show positive effects? Hundreds of studies that do not meet Mr. Pashler’s stringent criteria for experimental design suggest – at least loosely – that students do better when instructors are trained in learning-styles theory. The same may be said for multiple intelligences theory. So how do you balance the lack of scientific evidence with the presence of practical evidence? Willingham says there are two primary methods by which educators might use science to inform practice. It would seem, then, that if you don’t see the scientific proof for a theory, you shouldn’t practice that theory. But it’s not that simple. Which leads us to the second method: Although multiple intelligences theory may lack scientific evidence, it is not necessarily going to lead to bad practice. However, it is advisable to use it as inspiration, not a guide. And neither should learning theory. Interesting reading, and I like your closing remarks! Absorb what useful; reject what’s useless; research my own experience, and add what is specifically my own. A great philosophy! What’s “useful” and “useless” varies from person to person… find whatever works for you and run with it. Thanks for your comment. Like all these things, one can selectively choose scientific research to bolster one claim or another. So is there experimental evidence for ‘multiple intelligences’ – I fear that there is (unlike Professor Willingham’s claim to the contrary), or at least there is as much as there is of the concept of ‘intelligence’ (which is a mathematical construct – not a ‘thing’ – which originates from factor analyses). Gardner himself answers questions that Prof. Willingham poses such as why are there ‘musical intelligences’ and so on. Whilst the theory maybe sound (I believe it is) the application maybe missing wide off the mark. We don’t believe that one should ‘teach’ ‘multiple intelligences’ in a school setting, rather the theory helps to answer questions about curriculum content and in particular pedagogy. The problem with learning styles research could be as much about experimental protocol (and ethics) as it is about the phenomena being present (or not). This doesn’t change the fact that in practice educators find it extremely useful to NOT teach in only one standardized manner and instead focus on predispositions of students as they approach a topic. I believe this is what Say Keng Lee is advocating. Certainly something that Sir Ken Robinson has a lot to say on (look him up on TED talks). I’m sorry to tell you that Prof. Willingham is right. There’s no scientific evidence proving that Gardner’s intelligences are anything more than talents, preferences, and skills. But you can believe whatever you want and avoid reading scientific papers on the intelligence topic. It’s easier that way and surely you’ll be happier thinking that “one can selectively choose scientific research to bolster one claim or another” and never checking it by yourself. If eventually you take a little time reviewing scientific papers on the matter, please have your mind open: probably your convictions will be compromised. 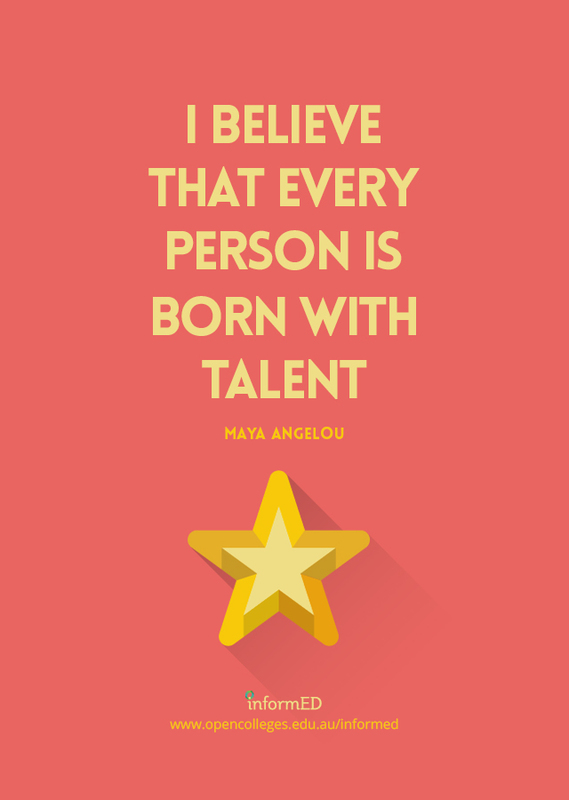 Everybody have talents and multiple intelligences. But I belive the great changes come from inside to out of ourselves. If we can join our strengths with others, we can get better…Personal leadership and social entrepreneurs, with Interpersonal inteligence . Great article. I agree with Say Keng on the closing remarks. But I also fear that the thinking behind MI can lead to an attitude whereby you effectively give up on making students a, b or c into better readers and writers. You inherent aptitude for reading and writing doesn’t make them any less primary as means of communicating occupational and political information and ideas. All in all I think it’s unsatisfactory that we are left to wade through so much uncertainly just because testing and research is so poorly done in general! Making every patient a test-patient wouldn’t be accepted in the medical profession! I have observed that many theorist provide tools by which to access the individuals learning, memories and recall. The broader ‘one’ can access the individuals senses and positive reactivity the stronger a learning experience can be. One son was failing mathematics and hadn’t learnt the process of answering questions. Then he learnt that all learning has some kind of process and subsequently to write down the formula, then the equation and some working and went from 40% to 75% and stayed in that zone. Problem was he needed to work the calculator correctly and that would have put him into the 90 percentile. Prof Willingham gives us an intelligent point of access to teach and learn, and that is super useful to me.